April 3, 1961 marked the beginning of the enduringly popular NHK TV program Minna no Uta (みんなのうた), or “Songs for Everyone”. A precursor of what would be called “music videos” starting in the 1980s, Minna no Uta is a television show that introduces new songs from both established and new singing talent, while at the same time promoting the talent of a variety of directors and animators. The program airs several times every day as a filler between other programs on the public broadcasting network. The music videos are animated, live action, or mixed media. 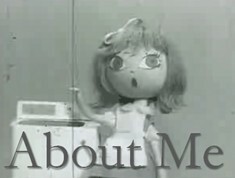 Minna no Uta was a vital source of income for independent animators who emerged in the 1960s and 1970s. The most prolific of these animators were Yōji Kuri, Taku Furukawa, Sadao Tsukioka, Shūichi Nakahara, among many others. Other big names in Japanese manga and animation to take part included Makoto Wada, Norio Hikone, and Tadanori Yokoo. The program continues successfully until this day, with upcoming animation videos listed monthly in popular animation magazines such as Animage and Newtype. 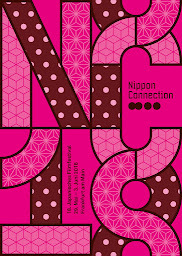 Learn more at the Minna no Uta Offical Website. 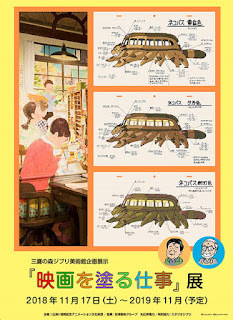 Minna no Uta animation highlights of 1961 included Yōji Kuri doing the simple cutout animation for Awate Tokoya (あわて床屋) as performed by the quartet Bonny Jacks (ボニージャックス), and Punpun Polka (プンプンポルカ), Keiko Osone’s animation for Reron Reson Shinta (レロンレロンシンタ) and the very simplistic animation Makoto Wada made for Dare mo Shiranai (誰も知らない). In addition, Ii Yatsu Mitsuketa (いいやつみつけた), a Japanese rendition of the English nursery rhyme Pop Goes the Weasel by the quartet Dark Ducks (ダークダックス), was animated by Ryohei Yanagihara and Takehiko Kamei. 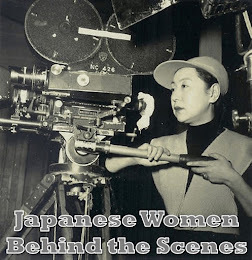 Although the Animation Group of Three (learn more), Kuri, Yanagihara and Hiroshi Manabe, were busy making animation both independently and for the NHK, they did not hold their second screening event until January 19, 1962. Yanagihara did however release his Commotion at Ikedaya in 1961, a comic adaptation of the famous Ikedaya Incident, which has inspired many fictional re-tellings in both cinema and manga/anime such as Nanae Chrono’s manga The Peace Maker (1999-2001), the Studio Deen anime series Hakuōki (2010), and Kon Ichikawa’s Shisengumi (2000). The first serialised anime appeared on television in 1961. In its first season on Fuji Television, it was called Instant History (インスタントヒストリー, 1961-1962), but after it moved to TBS in 1962 it changed its name to Otogi Manga Calendar (おとぎマンガカレンダー, 1961-1964). The series was directed by the manga-ka Ryūichi Yokoyama, author of the first successful yonkoma manga (4 cell manga) Fuku-chan (フクちゃん, 1936-1971) which ran in the Mainichi Shimbun. Using the archives of that newspaper, Instant History was a series of 3-minute shorts based on the premise of a character who was ignorant of what had happened on a particular day in history. Employing a mixed media approach of combining animation with archival photographs and film footage, the animation gives a capsule summary of the historical event. The 1961-62 season featured 312 episodes made by Yokoyama’s independent animation studio Otogi Pro. 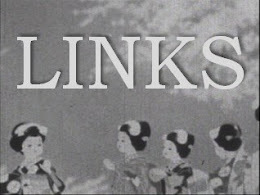 According to Jonathan Clements in Anime: A History (2013), not every episode was animated and each episode was “almost swamped with advertising and announcements that took up another sixty or eighty seconds.” The animation style itself was not ground-breaking but “with the broadcast of Yokoyama’s history lessons, a new opportunity opened up for pioneering animators to explore the possibilities of the ever-growing medium of television” (Clements, 90). Fans of manga and anime can learn more about Yokoyama from the Yokoyama Memorial Manga Museum in Kochi City. Shin’ichi Suzuki (鈴木 伸一, b.1933), worked at Otogi Pro at this time, before going on to co-found Studio Zero in 1963. 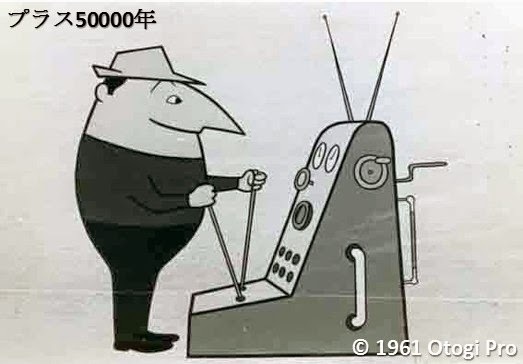 In 1961, Yokoyama and Suzuki co-directed Plus 50,000 Years (プラス50000年), a comic animation short which speculates about how humankind will evolve in the next 50,000 years. Manga-ka Osamu Tezuka founded Mushi Pro in 1961, although it wasn’t fully incorporated until 1962. Mushi Pro is famous for producing the first series of Astro Boy (1963-55) and Kimba the White Lion (1965-66), as well as the Animerama anime feature films, which though artistically ground-breaking and unique, led to the financial collapse of the company. Tezuka himself was the acting director of Mushi Pro until 1968 when he left to form Tezuka Pro. Mushi Pro declared bankruptcy in 1973 and was later revived under new management in 1977. (see: Tezuka Pro Offical History). Tōei Dōga released its fourth anime feature film in July 1961: The Littlest Warrior (安寿と厨子王丸 / Anju to Zushiōmaru), an adaptation of a story by Ogai Mori directed by Taiji Yabushita and Yugo Serikawa with Isao Takahata (who joined Tōei Dōga in 1961) working as assistant director. The animators included Sanae Yamamoto, Akira Daikuhara, Yasuji Mori , Yasuo Otsuka , Hideo Furusawa, Masao Kumagawa, and Daikichiro Kusube – many of whom were unsatisfied with the project (learn more). The film was shot in Eastman Color on widescreen Toeiscope – it looks amazing but the story was not popular with audiences. Also in 1961, Tōei Dōga produced the animated short The Mouse Marries (ねずみのよめいり/ Nezumi no Yomeiri), co-directed by Daisuku Shirakawa and Sadao Tsukioka. 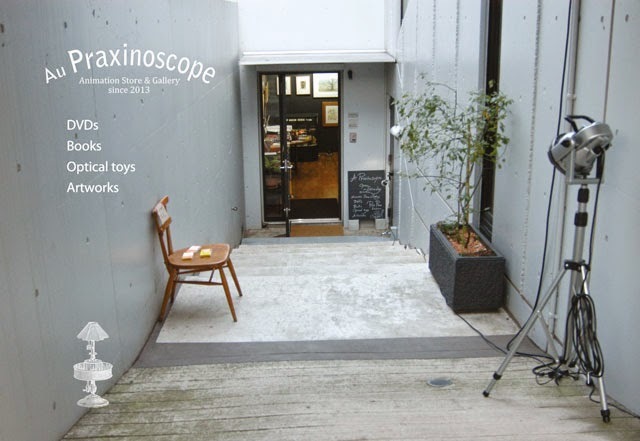 This 13-minute animation appears on the 9th DVD of the Japanese Art Animation Film Collection. The great animation pioneer Noburō Ōfuji, who was the first animator to achieve international acclaim at Cannes and the Venice Biennale, passed away in 1961 leaving behind the unfinished work The Tale of the Bamboo Cutter (竹取物語 / Taketori Monogatari) – an adaptation of the fairy tale known in some re-tellings as Princess Kaguya. He had screened the first part of another unfinished work, The Life of Buddha at Cannes under the title Taisei Shukon (Le Grand Boudha) in 1952. At this point it was 6 reels long (52’). After his death in 1961, the film was completed with a final length of 10 reels (72’). 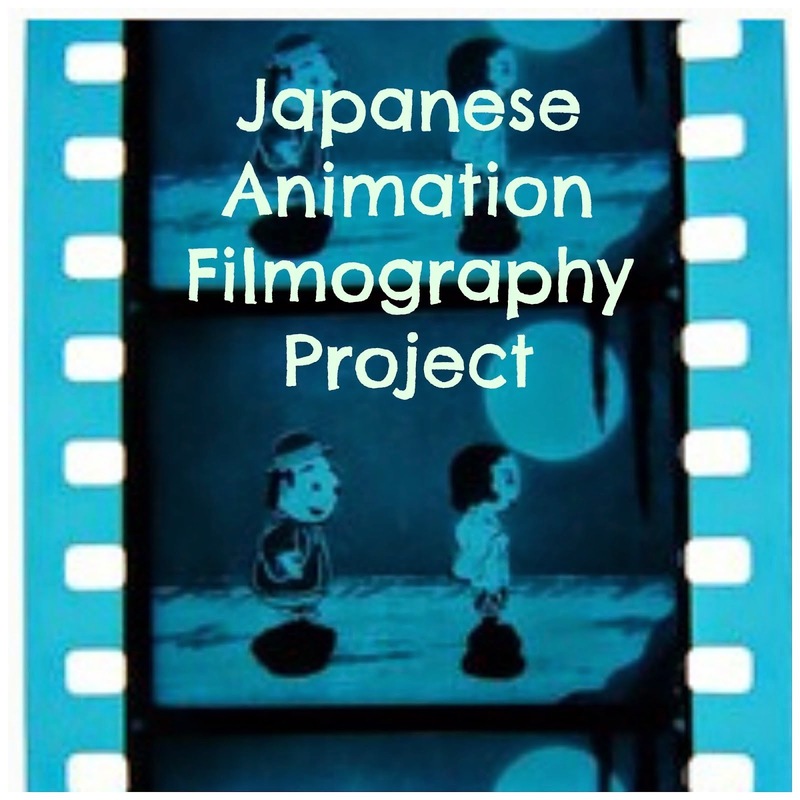 Kazuhiko Watanabe at Gakken Film also adapted Princess Kaguya as an educational stop motion animation for children in 1961. It is an innovative modern version of the classic tale using cutouts and puppets. 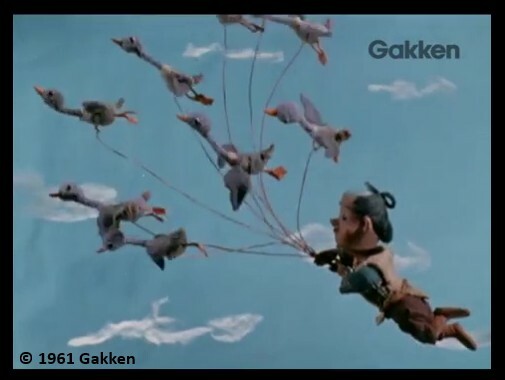 The film was recently released on YouTube, alongside Matsue Jinbo’s other excellent puppet animation adaptation for Gakken from the same year: Kamotori Gonbee (learn more).